The latest change was the implementation of the federal electronic logging device, or ELD, mandate just over a year ago. It’s the latest in a long history of disruptive evolution in which carriers and shippers have had to adapt. As it has done in the past, trucking has adjusted and continues to do so, but not without some pain. The advent of ELDs is influencing how carriers and shippers work together to control costs, deploy capacity, design networks, offer and charge for services, make capital investments, recruit and assign drivers and leverage new technology. What’s emerging is an era in which carriers and shippers finally seem to be truly embracing and living up to the established idea of collaboration versus confrontational, arm’s-length “take-it-or-leave-it” transactions. At least until the next freight recession. “The ELD mandate certainly had an impact on the truckload sector, which pushed volume shipments into the [less-than-truckload] sector and worked to tighten capacity for us,” said Darren Hawkins, CEO of YRC Worldwide. At the same time, weather-related events and a robust economy driving strong freight levels combined with ELDs to exacerbate an already acute capacity crunch. YRC’s operating networks already were configured for tighter hours-of-service regulations before the ELD mandate, Hawkins noted. YRC Worldwide, based in Overland Park, Kan., ranks No. 6 on the Transport Topics Top 100 list of the largest for-hire carriers in North America. Not having enough drivers in 2018 to handle surging demand was a bigger challenge than the ELD mandate, he said. The industry, Hawkins added, also has to come to grips with the often-overlooked impact of congestion that drivers encounter in urban areas. The implementation of ELDs did influence overall industry capacity and the ability of shippers to get all the capacity they’d contracted for, said Bart De Muynck, research vice president for transportation technology at Gartner Inc.
ELDs “actually drove capacity out of the industry,” as some carriers closed shop rather than upgrade their equipment, or lost drivers to other industries where jobs pay more or the work is less strenuous. The shakeout was good for the industry overall, said De Muynck. Some of the players that left the market were poor-quality performers in the sense that they were not compliant with HOS and in some cases were responsible for a higher number of incidents or were typically fleets with lower scores in the federal Compliance, Safety, Accountability program. “The worst of the worst left the industry,” De Muynck said. De Muynck also found that from a transportation procurement perspective, where shippers did get ELD-compliant carriers to agree to pricing, the rate of tender rejection in 2018 still reached on average 30%. “For some shippers, even paying market rate, they found it difficult for carriers to respond,” he said. And even when a shipper had committed capacity from a carrier, De Muynck noted, they didn’t always get the capacity they signed up for. In his research, he saw a gap of 10% — sometimes even 20% or 30% — in which the carrier failed to provide the contracted capacity, so the shipper had to go to either freight brokers or the spot market, “where quality is lower and price is higher,” he said. That created havoc as shippers competed even more intensely to procure capacity, yet, for a variety of reasons, found carriers increasingly unable to live up to their commitments. Ultimately, De Muynck said, shippers must be more accommodating, efficient and collaborative for carriers to want to work with them. Satish Jindel, president of SJ Consulting Group, believes ELDs will create an entirely new area of telematics data and predictive analytics, giving fleets new tools to analyze the best opportunities. De Muynck agrees. He cites technology firms such as Loadsmart, Transfix and Trucker Tools, which today provide real-time visibility into truckload capacity, and applications that help freight brokers “predict” when and where capacity will become available, as well as firms such as Kuebix, another cloud-based transportation management software platform with predictive analytics and freight management tools. Many large, for-hire carriers already had implemented electronic driver logs through older systems classified as automatic on-board recording devices, or AOBRDs, which made the ELD mandate less of a sea change than it has been for smaller operators. Yet to need to understand the driver’s situation and manage dri-ver hours as efficiently as possible has never been more important, said Sam Hough, executive vice president and chief operating officer for Covenant Transport Services. “We have been fortunate to de- velop deep-seated relationships with customers that allow transparency, which promotes empathy and a greater understanding of how to use a professional driver’s hours better,” Hough said. And shippers are getting the message, said Hough. They want feedback and want to talk about trends. They want to know what practices of theirs are making it more difficult on the carrier and driver. And they want to know how drivers are being treated upon arrival at their facilities. Hough cited a retail customer who recently added staff and formed a dedicated team to work with carriers to study and identify supply chain inefficiencies — for both carrier and shipper. Covenant Transport, based in Chattanooga, Tenn., ranks No. 47 on TT’s Top 100 list of for-hire carriers. Hough and other industry executives cited ELDs’ positive impact on safety as the biggest upside from implementation. “Ultimately, our industry needs to continue carrying the torch to ensure we are being as safe as possible, using every tool available,” Hough said. 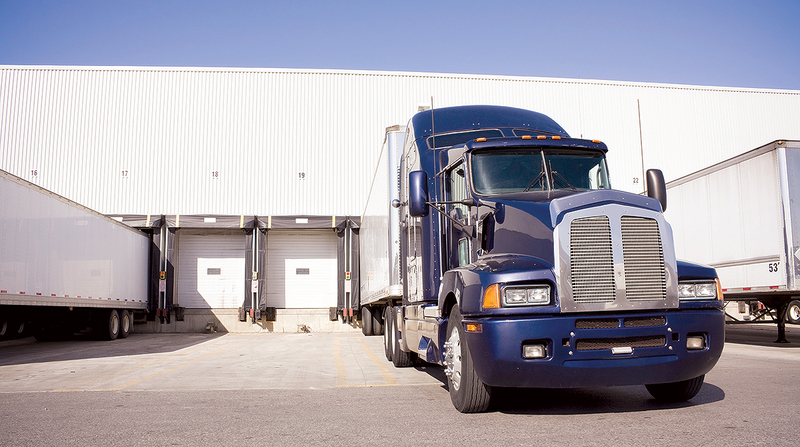 Improved compliance with HOS has been borne out from data compiled by the Federal Motor Carrier Safety Administration. In December 2017, 1.19% of driver inspections found at least one HOS violation (weekly and daily limits). In April 2018, when the Commercial Vehicle Safety Alliance’s out-of-service criteria took effect for ELD enforcement, 0.69% of all driver inspections resulted in citation for operating without a required ELD or grandfathered AOBRD. By November 2018, that citation rate declined to 0.52% of inspections. If 2018 was the year of the ELD, it was also the year that the theme “shipper of choice” gained much more traction. Shippers are acknowledging that they must work with carriers to help the driver and capacity challenge, but also to contain costs, said Michael Bautch, chief customer officer at Warren, Mich.-based Universal Logistics Holdings, which ranks No. 31 on the TT Top 100 list of for-hire carriers. Bautch said most customers will support efforts to find efficiencies with driver hours if provided with reliable data and reasonable solutions. In 2018, Universal completed four acquisitions that expanded driver capacity and service coverage for its intermodal division. One of those, Southern Counties Express, has in-house technology that provides truck monitoring and customer notification about port delays. “The shipper can use this data to assist SCE with future load planning and scheduling as well as validation of detention surcharges,” he said. He sees shippers making honest attempts to be more supportive. “They recognize they have a role; they know it has a full-circle impact to cost,” Bautch said, noting this year could see shippers’ “most active efforts” to address detention and time delays at shipping and receiving docks.